​In its initial incarnation, this show was named Run Away, Join the Circus, but it has since been re-branded as The Escape Act. This page is still up for those who knew the show by its previous name. Though we try to keep this page updated as much as possible, we kindly request you to click this link to go to the new show page, as it has the most current, up-to-date information. The performance will be offered in conjunction with an exhibition and a workshop: Before the show, the audience will enter the venue through a photographic exhibition of the people whose lives the show was based on, photographs that will bring to life the time, the place, and its inhabitants. The exhibition is made in conjunction with Diverging Fates, an international academic team researching circus people in Europe under National Socialism. 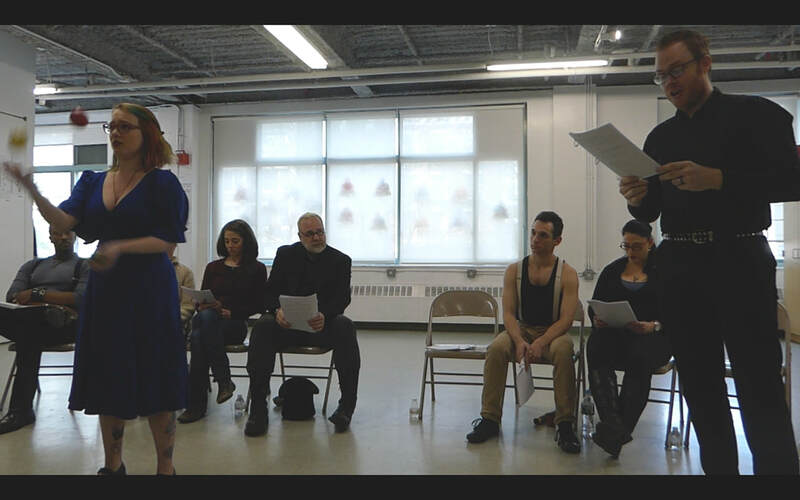 Following the show, audience members will be invited to participate in a workshop with the show's creator and performer. The workshop will be a hands-on experience, in which audience members will get to try their hand at learning basic circus skills in areas such as juggling, clowning, acro-balance and more. 2018-2019 - The show will perform in the UK, in New York City and in Israel. Exact dates and venues TBA. I have never come across a story I felt such a strong urge to tell as that of the Lorch family and their saviors from the Althoff Circus. 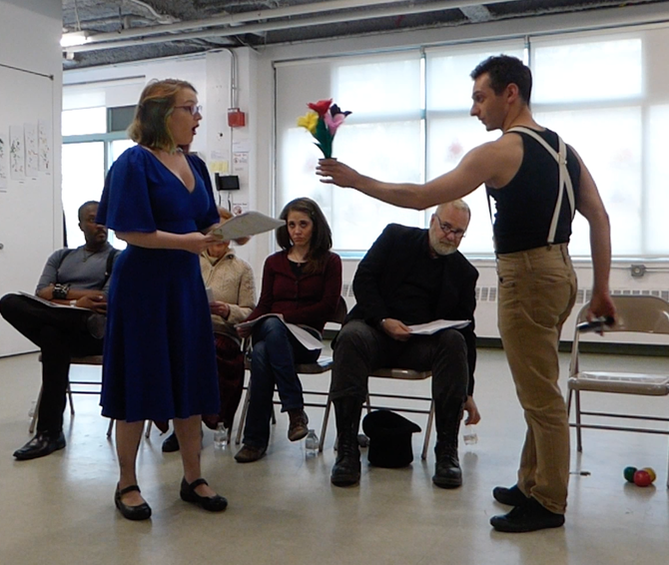 My deep connection to their story runs on multiple levels: I am a circus artist, a third generation to Holocaust survivors and a Jewish educator. Above all, this urge comes from recognizing the importance of this story's message in today's political and social climate. The more I research the history and true events of this family (and other Jewish-German circuses of the era), the more certain I become that their stories should serve to remind us the responsibility each of us holds for their fellowmen. 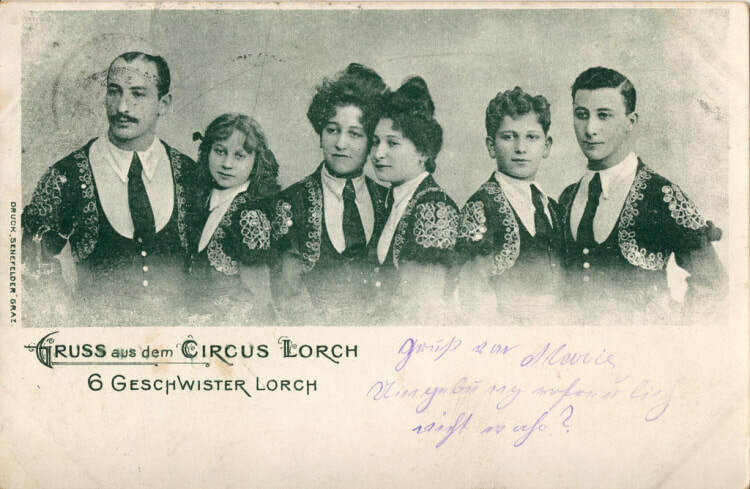 For the Althoffs, the Lorch family was neither Jewish nor German, they were simply – Circus. They protected them despite the risk it brought to their own lives and livelihoods, because they felt that circus had to stick together. Circus is a microcosmos of its own, where one's value stems from what one can contribute to the whole. Circus people are judged for their abilities, not for their race, religion or gender. In a world where countries close their doors to immigrants, where fascist voices are once again getting stronger, it feels more urgent that ever to ensure that history isn't forgotten. This story's message of tolerance and acceptance, of people taking risks to save another's life, comes from circus but applies to any and all.